Break out the condiments You might need more than a pinch of salt! A view of our failed promotion attempt that killed Fulham after Malcolm’s team looked certain to go up, see The Derby Debacle . However, the rot had started 5 games earlier. The Riverside stand at Fulham Football Club's Craven Cottage stadium will be closed for two years while it is redeveloped by main contractor Buckingham Group in an £80m project. Work on the new stand is scheduled to start in May 2019 and will take an estimated two years to complete, ready for the start of the 2021/22 season, a statement from Buckingham said. The new two-tier structure, designed by architect Populous, will add 4,000 new seats, taking the stadium's capacity to 29,600. The Club is currently working on transition plans and will be consult with the Fulham Supporters Trust in relation to relocating supporters currently situated in the existing Riverside stand. 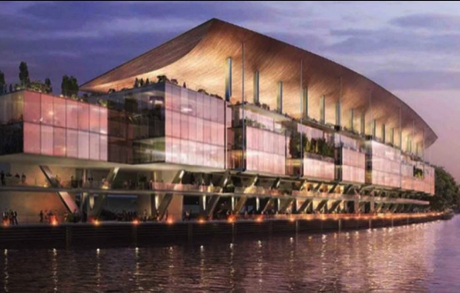 "Buckingham Group Contracting will work closely with Populous on the new stand which will feature a new river wall and creation of a new public riverside walk," the contractor added. Fulham will be the second major football stadium on which Buckingham Group has worked in the last two years, having been won the roofing contract on Tottenham Hotspur's £800m stadium in 2017*, under construction manager Mace. * Remind us, how far behind schedule is that project!? Newcastle would like to think that their recent efforts on the pitch will push them far away from their relegation concerns. Having faced the very real possibility of Championship football once again, Rafa Benitez will be happy to see the resurgence from his team as they bid to remain in the top flight With a few standout players, Newcastle shouldn't be battling relegation but lack of spending has meant Newcastle have failed to kick on. Whether they want to make improvements next season is solely down to Mike Ashley and if he wants to spend any more money. If the answer is surprisingly yes, Fulham's Andre Schurrle should be a serious target with the bags of experience he would bring to St James' Park. Schurrle, (who is valued at £13.5 million on Transfermarkt) has been one of few promising players within Fulham's team this season, who are facing the very real possibility of getting relegated this season. The former German international has scored six times in the Premier League this season and has played everywhere from out wide to attacking midfield. It could be argued that Newcastle's team is a lot stronger and therefore, Schurrle's goal contribution could increase further with more chances being created. With relegation a possibility and that fact he would only have one year left on his deal with Fulham, Andre Schurrle could be available at a reduced rate, a deal Newcastle must look to take advantage of. This bloke is clearly delusional, either that or he's never watched a game of football in his life! After Claudio Ranieri's comments in his pre-West Ham press conference, it seemed that the manager had finally had a change of heart in regards to Ryan Sessegnon. Indeed, that proved to be true as the Italian selected both the wonderkid and Tom Cairney in his starting XI, with Sessegnon playing on the left of a front three and Cairney in a midfield three. It's what the fans had wanted for weeks, and while Cairney was still on the right of midfield, it represented a significant change for Ranieri who had previously been stubborn in not using either of the players. It had its rewards for the first 20 minutes - Sessegnon got his sixth assist of the season to get Fulham underway while Cairney was instrumental in the second half. When luck is against you, it's really against you. So that proved for Fulham last night who, for the first 20 minutes of the game, looked comfortable and were the better side, but Javier Hernandez got West Ham level when he essentially palmed the ball into the back of the net. Such things change the course of matches, and so it proved at the London Stadium as the side capitulated before eventually losing once more. It was a piece of blatant cheating from Hernandez, simple as that. While Fulham's defending from the corner was Sunday League at best and that can't be ignored, but we'll never know how the game might have gone should that goal never have stood. Ranieri decided to change things at half time, bringing on Andre-Frank Zambo Anguissa for Jean-Michael Seri and taking off Sessegnon for Lazar Markovic. It was a strange one - Seri had done well in his first 45 minutes and looked much improved, while Sessegnon had struggled for the most part in the game. However, his substitutions didn't really have too much of an impact. Markovic didn't really get up to speed with the game while Anguissa didn't protect the back four and break up play like Seri was doing. Wednesday night really is crunch time for Fulham. Southampton sit seven points above them in the last relegation spot with a game in hand, which would rise to ten should the Saints win at St Mary's. That number will be a step too far for the side and it will pretty much mean that the side are all but gone - it's do or die time for Fulham. Fulham need a new manager after sacking Claudio Ranieri with reports saying the Premier League strugglers want Moyes (?????? ), David Wagner (What?????? and Steve Clarke,(now it is getting really ridiculous). Ian Holloway has implored Fulham to hand Scott Parker the manager's job on a full-time basis after the sacking of Claudio Ranieri, speaking to talkSPORT(1 March, 9am). After just three wins in 17 games, Ranieri was handed his P45 on Thursday with The Cottagers 10 points adrift of safety in the Premier League. Assistant coach and former captain Parker has been named the club's interim boss until the end of the season but whether he is in contention to replace the veteran Italian permanently remains to be seen. The Express claims that Fulham are interested in hiring David Moyes, David Wagner and Steve Clarke with Bristol City boss Lee Johnson also on their radar, as reported by The Mirror (1 March, page 69). But Holloway believes that Parker deserves his chance to prove himself in management. “That would be the sensible thing. He's always been a leader,” said the former QPR and Blackpool boss when asked if Fulham should hand the 38-year-old the reigns. The likes of Darren Moore and Ole Gunnar Solskjaer have proved this season that giving a club legend the job is not the worst idea despite a relative lack of experience on their CV. SEE ALSO: Report shares how Fulham's players feel about Ranieri's methods amid sack rumours. And Parker has a reputation as one of the brightest young coaches in Britain, having caught the eye with his work in charge of Tottenham's U18 side before returning to Craven Cottage in the summer of 2018. *Editor's note, what a ridiculous headline, sounds like Enid Blyton came up with that one, "Important Man" pah! Fulham saw their chances of Premier League survival suffer another blow on Friday night when they went down 3-1 to West Ham United at the London Stadium, and after the contest angry fans demanded the removal of an important man. The Cottagers headed across the capital eight points adrift of safety, but things looked brighter for them when Ryan Babel fired them in front against the Hammers, just three minutes into the match. Fulham continued to play some nice stuff in the early stages of the encounter but couldn’t find a second goal, and were made to pay for that. If things were not bad enough for the Cottagers, they got even worse on the half hour when West Ham levelled through a controversial goal when Javier Hernandez scored with his hand, which wasn’t seen by the referee. Claudio Ranieri’s men conceded a second as half time approached, and then the game was beyond Fulham when Michail Antonio made it 3-1 just before the final whistle. The former Chelsea and Leicester City manager only took over in the hot seat at Craven Cottage in November, but the 67-year-old has failed to pull the Cottagers out of trouble, and even though they still have 11 matches left, the writing looks on the wall for them as far as staying up is concerned, and their supporters appear to have had enough. Ranieri has struggled to win over the Fulham faithful, with his questionable treatment of popular players such as Ryan Sessegnon, and with results not really improving in his tenure in West London, the relationship between the Italian and fans is becoming ever more strained. Many Cottagers supporters took to social media after the defeat to West Ham to voice their frustrations with the manager, with plenty demanding that he leaves as soon as possible. Ranieri’s team selections, tactics, subs and interviews are some of the most baffling and frustrating I’ve seen as a Fulham fan. The club needs a fresh start now to build for next season. Plan for next season. Claudio Ranieri will not be within our technical area after the current debacle finally dies and a contingency for the Championship is very necessary. It’s written on the walls, Fulham have no credible reason to keep the outfought Italian in employment. 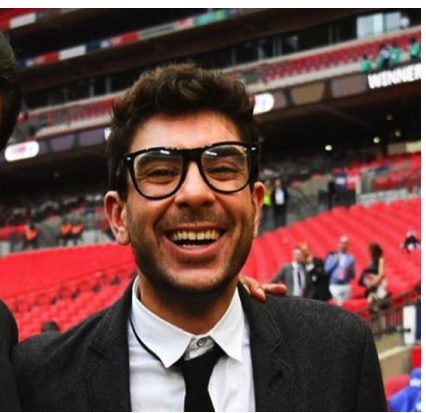 Fulham vice-chairman Tony Khan told a critical supporter who had urged him to leave the club to "go to hell". Khan, 36, tweeted fans after Saturday's 2-1 defeat at Burnley, which left his side 19th in the Premier League, five points adrift of safety. In a succession of messages he promised "multiple signings" in January but one fan replied: "Leave my club please." Khan, the son of Fulham owner Shahid Khan, responded: "Never. I'll die at this club. Go to hell." him to leave had been critical in the past, including shortly after Fulham won promotion to the Premier League via the Championship play-offs in May. The fan quickly denied he had been in touch after promotion and in turn said he was frustrated by the fact Khan splits his time with other roles at NFL franchise Jacksonville Jaguars and as president of All Elite Wrestling. Denis Odoi really had a tough time of it at the King Power Stadium up against Harvey Barnes. The defender was turned inside and out multiple times as Leicester dominated proceedings in the first half. Although it was Fulham who were the better side after the break as Floyd Ayite's goal sparked them into life, Barnes once again got the better of the Belgian as Vardy scored the Foxes' third goal in the closing stages. With things not going right when he was trying to nullify Barnes, things didn't go much better for Odoi when he had the ball in the first half. Aleksandar Mitrovic face said it all following a poor throw by Odoi early on, before then having a proper go at his teammate shortly after when he gave the ball away cheaply on 30 minutes. Clearly frustrated after barely getting any service in the first half with Leicester in full control, the ex-Newcastle man took it all out on Odoi as he gifted possession back to the hosts. 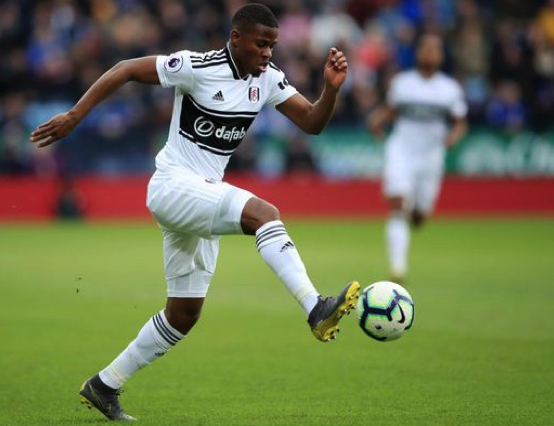 Ayite may well have played his way into the Fulham team to face Liverpool next Sunday after a promising display against Brendan Rodgers' side. Ryan Sessegnon was not having a good time of it at all and Scott Parker elected to replace him with the 30-year-old. The ex-Bastia man had only been on the pitch six minutes when he restored parity after finishing well after cutting in from the right wing. Netting four goals for the Cottagers last season in their successful promotion campaign, it proved to be a memorable day for the player as it was his first goal in the Premier League. His strike now means he is only the second Togolese player to score in the top flight after former Arsenal and Spurs man Emmanuel Adebayor. He now only needs another 97 Premier League goals to become his country's all-time top scorer in the league! Calum Chambers didn't have the best first half against Leicester. Fulham's midfield was overrun time and time again with Wilfred Ndidi and Youri Tielemans running riot in the middle of the park. The Arsenal loanee was then involved in the first goal of the game as he was robbed in possession by the former, with the latter then having a simple finish after Jamie Vardy had squared the ball to him. As much as Chambers did struggle in the first half, he did make one eye-catching pass towards the end of the opening 45 minutes that was quite simply sublime. It first appeared that his lofted ball to Ryan Babel on the left flank was overhit and heading out of play but it was actually pinpoint.